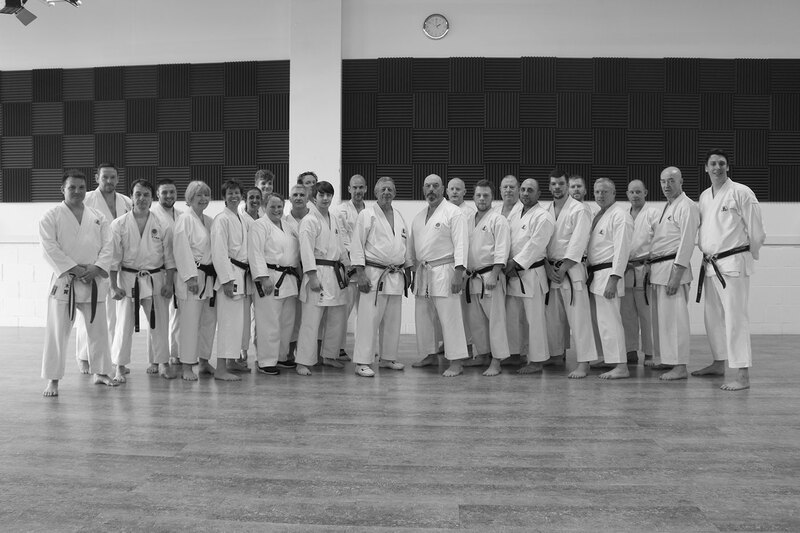 Welcome to the official web site of the Brighton Shotokan Karate Club. 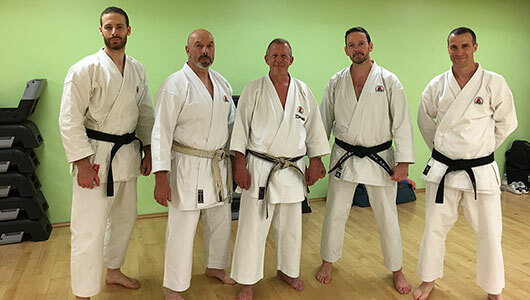 The Club was first established in 1973 and is affiliated to the Academy of Shotokan Karate (ASK), of which Sensei Dave Hazard, 7th Dan, is the Chief Instructor. Over this period many British and International Kumite and Kata competitors and champions have been forged at the Brighton Club which was for many years the official Dojo of Sensei Hazard. However, the emphasis at Brighton is not on ‘sport’ Karate but the traditional study of the ‘three Ks’ – Kihon, Kata and Kumite. Whether you are yearning to restart Karate after a career break or have had the inspiration to do something that will enhance your self esteem, fitness and well being, this is the first step down a well proven path. Young and the not so young, all are welcome. We cater to female, as well as male students and no-one is ever allowed to feel out of their depth. 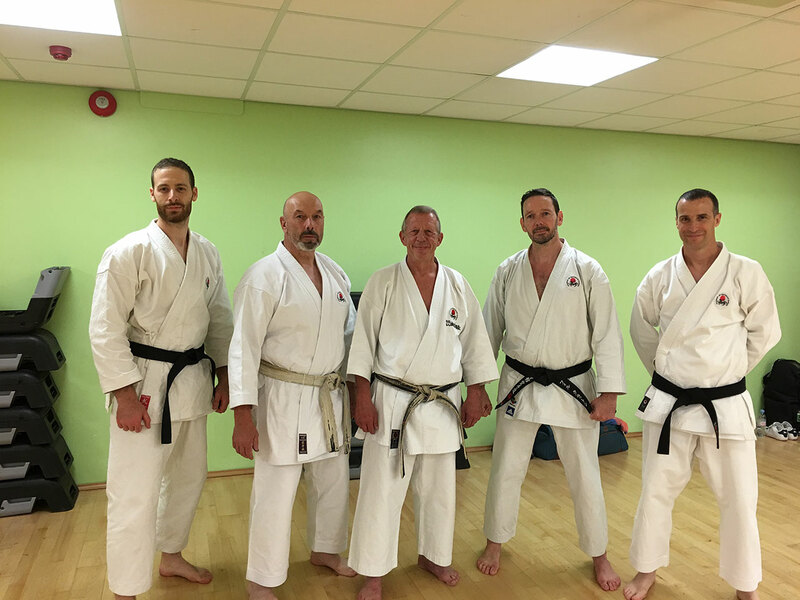 Successful new shodans Mark Stevens, Luca Lytton & Phil Clayton from recent dan grading with Sensei Dave Hazard and Sensei Jez Lavender September 25, 2016. Latest photo from Dave Hazard course April 23/ 24th 2016.